The main part of archery is the type of bow you choose. Now, there is a lot of bows out there. They’re commonly grouped as Compound or Recurve. If you’re just a beginner, you might have no idea what each of these mean. 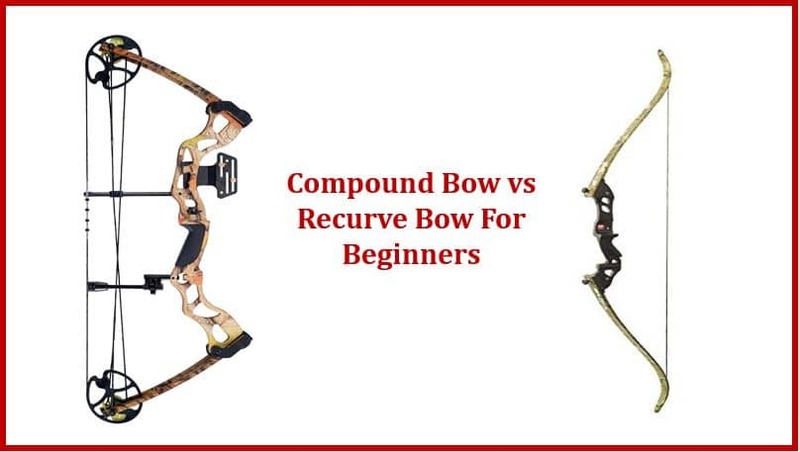 So, to make sure you get the proper information, we’ve done the detailed comparative study of Compound Bow vs Recurve Bow for beginners to bring you a complete overview of both the compound and recurve bow. A compound bow is a modern type of bow that makes use of what is known as the ‘levering system.’ If you remember your middle school physics, a lever is basically something that reduces effort. It’s actually the same with a pulley/cable playing the vital role in a compound bow. This pulley/cable system makes compound bows to be stiffer than the recursive ones. Since a compound bow is more rigid, it is more energy efficient than other types of bows. This is mainly because less energy is spent in the limb movement. 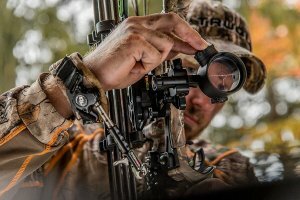 The main work of the compound bow’s cam system is to make sure that the energy is maximized when the bow is drawn. It also ensures let-off at the end of the cycle. This means, when the bow is drawn back, the force of drawing gets heavier with each draw inch. A small amount of energy is stored in the first half of the draw while more energy is stored at the end where the weight is heavy. The bow works with varied weight profile. It reaches the peak weight while drawing a few inches while the weight decreases when the cams are let-off. This is the reason why compound bows energy storage is greater and it also shoots the arrow faster than a recurve or longbow. Compound bow’s design allows greater arrow speed. A soft cam will accelerate the arrow slowly than a harder cam. Beginners generally tend to shoot a soft cam while an advanced archer may prefer a harder cam for speed. The compound bow is readily available from harder to softer cams. When you draw a compound bow, the limbs are pulled in towards each other so, they face one another in a horizontal way. 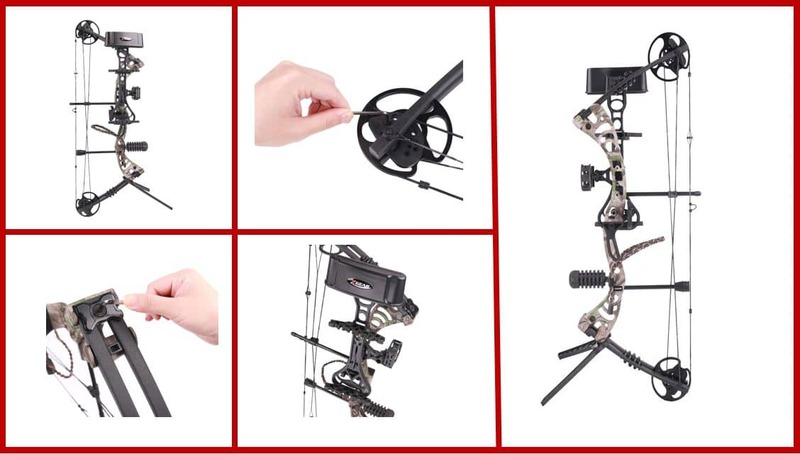 This mechanism mainly reduces the recoil and vibration felt by the archer and this can be perfect for beginners. Compound bow accounts for greater power and precision. LIMITED TIME SALE: Draw length adjustable 24.5-31" and draw weight 30-70 lbs without needing a bow press. CAMS are fully machined aluminum with ZERO plastic like those found in many other bows in this price range. This bow has a axle to axle length of 30" and weighs 3.6 lbs. It also sports a best in class 315 ft per second when at max settings with a 350 grain arrow. Compound design allows for 75% of the weight to be let off, if you pull 70 lbs you only have to hold 17.5 lbs! The Raptor also features a split yoke tuning system, allowing for precise adjustments and proper arrow flight. A recurve bow is a traditional bow having limbs that curve away from the archer when it’s not strung. This makes it able to have more energy despite if it is a crossbow or a longbow. Recurve bow is especially for you if you want the arrow to be released with greater energy and travel at a higher speed. It is perfect if the precision is your concern. KESHES Dacron Bow String Replacement for Traditional and Recurve Bow - Replacement Bowstring 12,14,16 Strands - All Length Sizes from 44"-70"
The recurve bow has greater mass because the limb has multiple layers of fiberglass. Greater mass implies greater stability and this gives a contribution to accuracy. The accuracy is also related to a bow’s draw length and the archer’s skillset too. So, the mass itself isn’t everything. As compared to the compound bow, the recurve bow really lacks in terms of power and precision. But one thing that it really nails is the ease of use. The parts can be interchanged easily and the overall usage is pretty straightforward making it perfect for newcomers. A recurve bow has less weight (although it has a greater mass) and it’s extremely portable. It has fewer mechanisms, so, it’s easier to use. QUALITY - Dealing with the original Samick Sage Recurve Bow manufacturers, our Takedown Recurve Bows are manufactured with utmost comparable quality. Combining the Keshes risers with different sourced wood helped create the bow to be, lightweight, withstand high and low poundage, beautiful and extremely comfortable to hold. 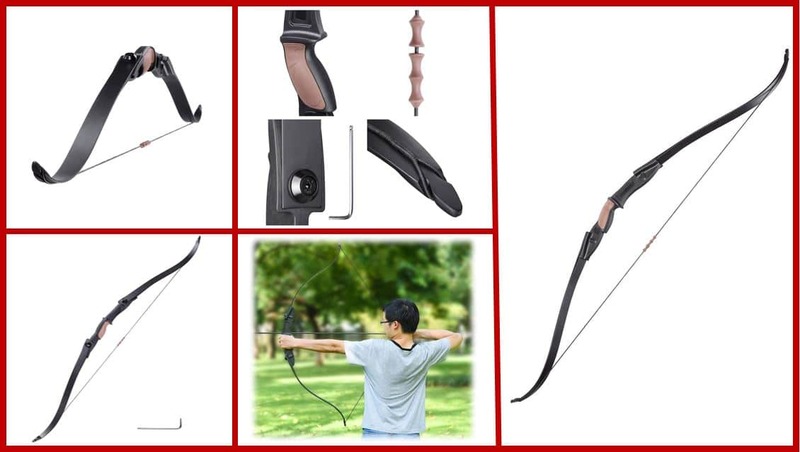 Perfect target shooting archery set, or hunting bow and arrow for adults and youth. BEGINNERS AND ADVANCED HUNTERS - With Drawback weight options ranging, from 15 lbs - 55 lb., it will be your best youth bow and arrow set & Hunting Bow. TAKEDOWN FEATUREyou can always purchase limb set replacements separately to increase or decrease the weight as you grow, or to share with friends and family, and Save on continuously purchasing full new bows. FEATURES - Pre-installed threaded Brass Bushings for any type of upgrades, such as, Brass Plunger, Stabilizer, Sight, Quiver, Bow fishing reel. We offer the options of either Right- or Left-hand orientation. Right handed means, you will hold the archery bow with your Left hand and draw with your Right hand, while with Left handed, you will hold your bow with your Right hand and draw with your Left hand. INCLUDES - Impressive round edge Riser Wooden Limbs Layered with black fiberglass Knob screws to attach the limbs on the riser (NO ADDITIONAL TOOLS NEEDED) Dacron bow string Stringer tool for the ONLY easy and safety way to assemble Stick on arrow rest Eye sight for a perfect aim, and of course a DETAILED STEP BY STEP INSTRUCTIONS INCLUDED! RISK FREE PURCHASE - Our 100% satisfaction policy, guarantees you a full refund, be it that you are not 100% satisfied with KESHES recurve bow, although we are confident that you will love it. Reach out to us if there's ever anything you need; Here at KESHES we are dedicated to your satisfaction. Different bows are compatible with different activities and people. Let us now see the compatibility of both kinds of bows. A compound bow is perfect for hunting. The let-off od a compound bow gives you a freedom to hold stationary for a greater time. It also has increased power and precision that makes it really the best bow if you want to hunt. For an intermediate archer, adjusting different power and precision modes is a necessity. In such a situation, you would want to get a compound bow as it will totally shatter the recurve bow in this department. An intermediate archer should get a compound bow. If you’re a newbie, then you don’t need an extravagant type of bow. A beginner needs to develop his own technique and strength. What better way than a recurve mode where you manually have to adjust every setting. So, if you’re trying archery for the first time then, make sure to go for a recurve bow rather than a compound bow. 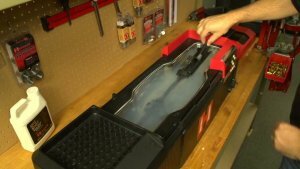 It’s more simple and easier to use for a novice. You can use both the recurve or the compound bow for fishing with a bow. It generally requires you to attach a reel to the stabilizer on the bow. Since Bowfishers have to spend time drawing and waiting, a compound bow can work here. At the same time, you can get a quick shot with a recurve bow. So, the choice is kind of ambiguous. There is not really a clear winner here. So, you can probably go with both. It’s a draw here. You can use any bow to shoot the target for practice. But, if your aim is to shoot at pro competitions then, it might be a different deal altogether. Although, professional competitions exist where both the recurve and compound bows can be used. A few high-class competition only allow only recurve bows. For instance, Olympics only allows a recurve bow. Because of this slight preference to recurve bow, we have to go with a recurve bow on this one. If you have no idea of what kind of bow you want to choose. If you’re lost then, read this part carefully. Here we’re listing some of the most sought-after features and tell you which one is better at what. We’re also going to explain compatibility of these bows with various activities that will help you make an informed decision. As we’ve mentioned earlier, the cam system of the compound bow makes it a clear winner in this department. A 70-pound draw weight is considered enough and most compound bow performs even better than that. There is no comparison in this regard. Compound over Recurve when power is the question. This depends upon the let-off. A 70-pound compound bow with an 85% let-off requires around 16 pounds of force. For comparison, A 70 pound recurve bow will require a 70-pound force. The clear winner is the compound bow here. The noise of the bow is difficult to judge. Any bow can be made silent by using dampeners but, since a recurve bow has fewer mechanisms, it is relatively faster to install a dampener here. Based on that logic, we give a slight edge to the recurve bow on this one. Equally powered compound bow is smaller than a recurve bow. A nearly double-sized recurve bow has the same power as the compound bow of half its size. The winner, hence, is the compound bow. The mechanisms in a compound bow is greater than a recurve bow. Although the size of a compound bow is small, the weight is greater because of the complex built with cams and extra strings involved. This one, we must give to the recurve bow as it is much much lighter. Recurve bow needs to be disassembled into 3-4 parts before you can carry them around with you. This is really something annoying. Hence, they’re not super portable. A compound bow, however, stays built and is portable. But, the disassembled recurve bow is much more portable, however, you can’t shoot it so, we give this to the compound bow. Recurve bows have different types of limbs which you can use to increase or decrease the power of the bow. An assembled bow with one set of limbs will give you a single power range i.e, there are no adjustment options as far as recurve bows are concerned. When it comes to a compound bow, they have their own draw weight and power adjustments. These are adjusted by using a tool that tweaks the cams’ position. The winner is clearly a compound bow here. The material used to construct these bows have a wide range. The general materials include aluminium, carbon, wood etc. Both the bows are made with different materials so, there is no clear victory as far as the build is concerned. This one is a draw. A mid-range recurve bow costs less than a similar compound bow. This is mainly due to the complex mechanism involved in the compound bow. Although the price can vary from place to place and generally depends on what you get for the money, we have to go with the recurve bow on this one. They’re just generally cheap overall. Restringing a recurve bow when the string snaps are relatively easier than a compound bow. Broken limbs are also easy to fix on a recurve bow. The same thing can’t be said for a compound bow. When you mistakenly snap strings or break a compound bow, you need to go to a professional for fixing it. This makes the recurve bow have better maintenance. All the moving parts of the compound bow make it harder to fix. The clear winner is the recurve bow. Both a recurve and a compound bow can be fitted with all types of accessories like stabilizer, silencers, dampeners etc. There is no winner here. It’s a draw. Only a few compound bows look exceptional. Other than that, they’re not much colorful or stylish. The extra mechanism and the compact look makes a compound bow look bulky. Whereas, a recurve bow is sleek and stylish. Recurve bow also has that vintage look. It beats a compound bow in this department by miles. As a beginner, the overwhelming market of bow must be really scary for you. There are a lot of brands to choose from and a lot of bows with a lot of features. In such a market, it’s crucial to know the kind of bow that’ll suit you. Get a recurve bow if you’re starting out and just want to do some target practice. No point in buying a compound bow here. Get a compound bow if hunting is your priority. Although recurve bow is best for a beginner, it is not best for hunting, so get a compound bow and learn. It might be difficult at first but it’ll be worth it. Don’t go with brands but go with the price to performance ratio. See what you can get for a certain price and buy the appropriate one. If you can then, shoot the bow for a minute or so before buying it, buy what feels natural to you. As there are limitless designs, you can go with any color combination you want. The final thing to remember is to make sure you have all the information about the bow you’re buying beforehand. Read some reviews and decide if it is worth it. So, the compound bow is actually better than a recurve bow in some cases. But if you look at our comparison chart, you’ll see it’s 50-50. That is mainly because recurve bow also holds it’s position firmly. With a compound bow, you’ll definitely get more power and precision at a shorter size, good portability, and adjustment options but they come at a price. Recurve bows, on the other hand, cost less, they have great design, maintenance, they’re meant for beginners, they make less sound and are much lightweight.